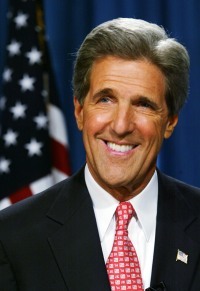 Someone calling himself “John Kerry” (Remember him? He is the one who is responsible for G.W.Bush’s – or Dubya’s – 2nd term – by losing!) posted a diary on the popular liberal community blog DailyKos last week. The blog entry has received 1223 comments!! Some folks are skeptical over the authorship – is it the same Kerry or his namesake. But it is a welcome trend if the Congressmen and legislators start using direct communication with the masses using this push-button publishing medium. If you don't know what you are doing, do it neatly.